The goal of chiropractic is to stimulate your body's own remarkable resources to help it heal and function better. Chiropractic is a hands-on, drug-free healthcare approach. Millions of people have become healthier using chiropractic principles of a healthy diet, exercise, and maintenance of proper spinal function. When performing an adjustment, your doctor applies precisely directed force to a spinal joint that is out of alignment or not moving properly. Restoring normal motion to spinal joints can allow spinal bones to return to a more proper position, allowing your body to again function as it should. This safe natural approach to restoring proper spinal and nervous system function can improve your overall health. Not all adjustments are the same. Often, the doctor's hands or a specially designed instrument are used to deliver a quick therapeutic thrust to the affected joint. Other techniques require slow, constant pressure. Based on years of training and experience and careful evaluation of your unique spinal problem, your doctor will recommend a program of care designed for you and your specific needs. Chiropractic has an excellent safety record. While it's not unusual to hear about injury due to drug interaction, overdose, or misuse in the medical profession, it is extremely rare to hear of a problem resulting from chiropractic care. According to a recent government study in New Zealand, chiropractic care is "remarkably safe." Chiropractic doctors are trained to practice and perform hundreds to thousands of adjustments before delivering them to a patient. To become a Doctor of Chiropractic, the candidate must first pass four National Board Examinations. Then, to apply for a professional license, the doctor must pass an even more rigorous test before being given the privilege to practice as a Doctor of Chiropractic. People often seek chiropractic care for relief from injury, stress, or chronic pain. Chiropractic treats the underlying causes of these problems, rather than just relieving the symptoms. The chiropractic approach to better health is to locate and help correct problems that interfere with your body's natural state of good health. Your body's self-regulating and self-healing functions are controlled by your nervous system. The spinal cord is the central message carries for your nervous system. Problems with the bones that protect the spinal cord can impair nerve flow. When the nervous system is impaired, tissues and organs throughout the body may not work correctly. Doctors call this degenerative chain reaction the vertebral subluxation complex. It is an underlying cause of many health problems. 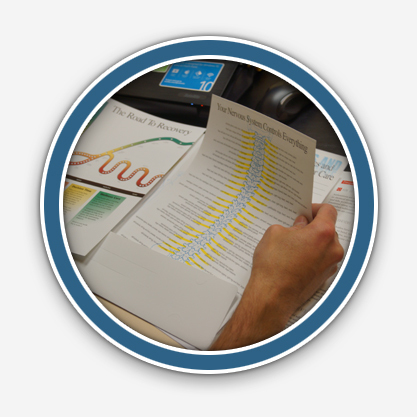 Today's Doctor of Chiropractic is highly trained in identifying and evaluating functional problem associated with the spinal column. 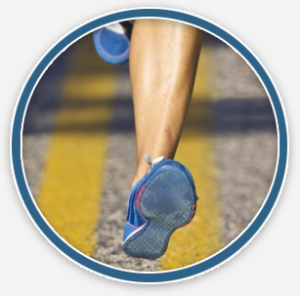 HE or she is also skilled in restoring proper spinal biomechanics and nerve function. With a program of regular spinal maintenance, many patients recover their health and vigor, and often feel better than they did before their problem occurred. 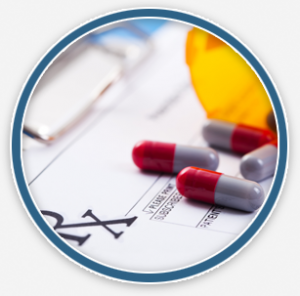 Do Chiropractors prescribe drugs or perform surgical procedures? Doctors of Chiropractic do not prescribe drugs, or perform surgeries. Doctors of Chiropractor focus on the cause of the problem by restoring proper spinal function. In many cases, drugs are used to cover up your pain, but do nothing to "fix" the problem, they just cause new ones. 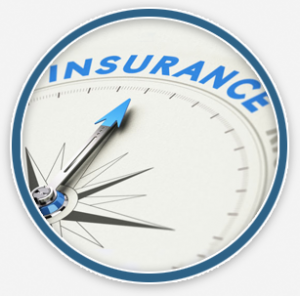 Most insurance policies cover chiropractic care. To make things easier for you we will contact your insurance company and let you know what your benefits are before you commit to care. What is the Vertebral Subluxation Complex (VSC)? The VSC is one of the most severe interferences to your nervous system, causing a reduction in function and a lack of health on every level. The VSC occurs when we injure our spinal joints. When we have spinal injuries, this results in a lack of spinal motion, causing the spinal joints to heal stuck, too loose, or misaligned. 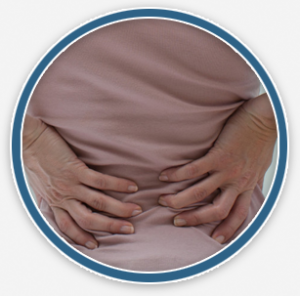 As the injured spinal joints heal wrong, they will always pinched or irritate spinal nerves. These pinched or irritated nerves cause muscle spasms to occur, which will attract inflammation and inflammation always attracts scar tissue. Scar tissue is a gummy or sticky substance that will grow your muscles together, making your muscles weak and causing your spine to be weak. If this process continues, inflammation and weak spinal function will spread to areas above and below the original injury sight. 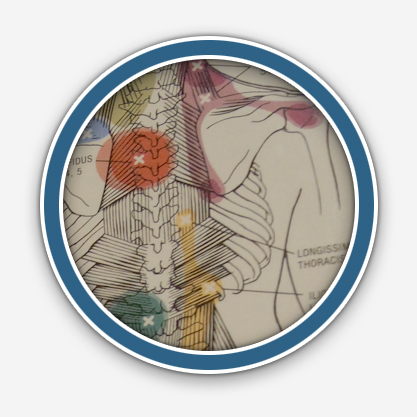 What are some causes of the Vertebral Subluxation Complex? The VSC can be caused by childbirth, chemical pollution, occupational stresses, drugs (prescription and non-prescription), mental stresses (environmental and psychological) and physical stresses such as falls, jolts, slips, car accidents, posture, sports injuries, and housework. This depends on your problem and your body's needs. Long-standing or neglected problems often require ongoing care to restore and maintain good spinal health. You wouldn't expect just one of the many pills of a prescription to provide a cure. Similarly, you shouldn't expect only one adjustment to heal you. Healing often takes time. Some patients seek chiropractic care only when pain is unbearable. This "crisis" approach can be time consuming, costly, and uncomfortable. 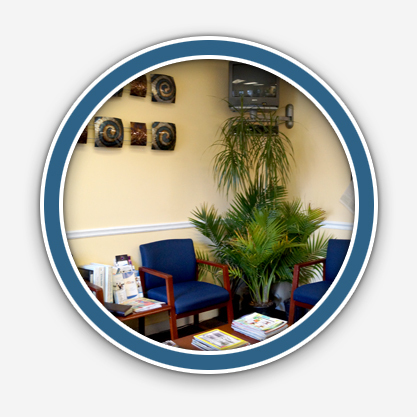 Most patients find that the best results come from an individual care program and periodic chiropractic checkups. I will be happy to discuss your expectations for and answer any questions about how you can optimize your health. Your course of treatment is ultimately your decision. Discs are pads of fibrous tissue that cushion the spaces between vertebrae (spinal bones). 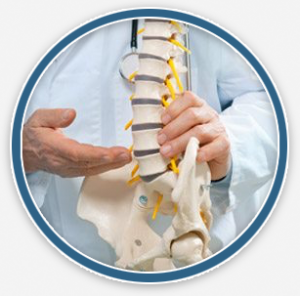 Serving as shock absorbers for the spine, they allow the back to turn and bend normally. Because the top and bottom of each disc is attached to the vertebrae above and below it, discs cannot actually "slip" out of place. 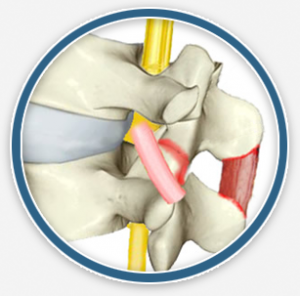 However, trauma or injury to the spine can cause discs to bulge or herniated. The resulting pressure on surrounding nerve tissues can be intensely painful. Because every case is different, results cannot be guaranteed. However many patients have found relief from disc problems with chiropractic care and are able to avoid surgery or the need for pain medication. People of all ages can enjoy healthier living through chiropractic care. When the body is changing through growth or through aging, maintaining good spinal and nervous system health is especially important. Children and even infants can also benefit from chiropractic. Because spinal trauma can occur at birth, and later childhood activities may cause spinal problems, many parents have their children's spines checked regularly. For seniors, improved spinal function can mean better mobility, endurance, appetite, and an improvement in many age-related ailments. The safe, natural chiropractic approach to health maintenance makes sense for people of all ages. Many people have heard the term "pinched nerve" and know that is causes pain and numbness. But a pinched nerve (also called a compression lesion) is rare, caussing only 10-15% of spine-related problems. More often, pain results from nerve tissues being irritated by the rubbing, stretching, or scarping of malfunctioning spinal joints. Such malfunctions can be caused by many everyday events including injury, poor posture, overuse, or emotional stress. Chemical toxins can also affect the delicate tissues of the spinal cord and nerve roots.